I’m really pleased that my fourth book – another psychological thriller – is now available to download on kindle or other devices with an app. From the first word on the first page of the first draft, until today, it took almost exactly sixteen months to complete. Five people were directly involved in the creation of Chosen Child – me, the editor, the proofreader, the formatter, and the cover designer. Many others gave help and advice along the way. Chosen Child contains 81,000 words. Most of the book is set in Cornwall, but there are a couple of scenes in Glasgow, and one set of characters went to Edinburgh Zoo as well. The paperback will be out by the end of the month – I should be able to give an exact date next week. Over the next week or two I’ll be visiting various book and writing blogs – today it’s Linda Hill, for some general book chat, and Helen Pollard. 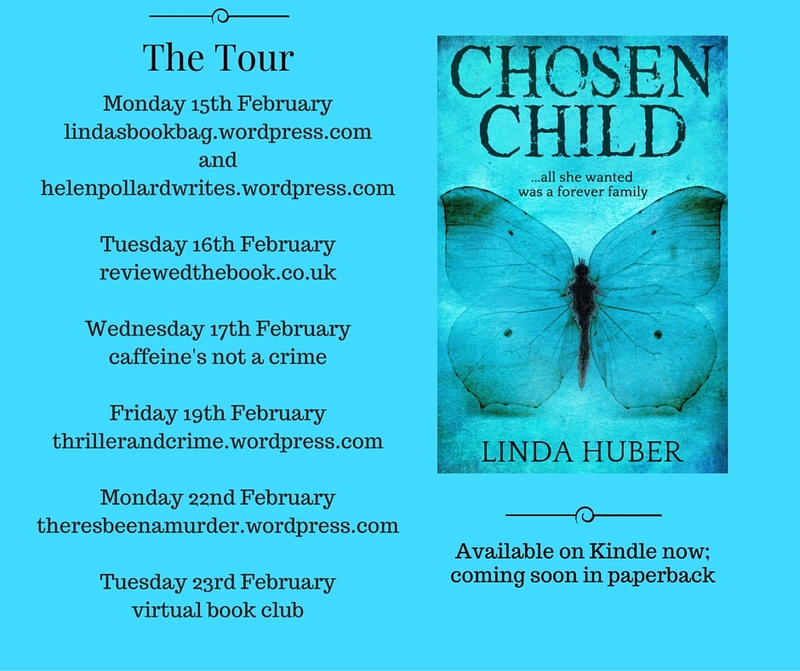 This entry was posted in My books, The Writing Life and tagged blog tour, book trailer, Chosen Child, Helen Pollard, Linda Hill, psychological thriller, release day. Bookmark the permalink. 8 Responses to Chosen Child is published! Thanks, Geoff! The best bit is holding the paperback – but you know that yourself! Congratulations, Linda 🙂 Wishing you every success. It’s a great read! Congratulations, Linda! How exciting. I’m still waiting for ‘The Cold Cold Sea’ to arrive. I don’t have an e-reader as I prefer books – very old fashioned of me. 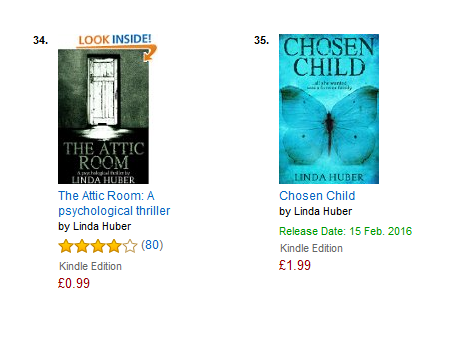 I shall be looking forward to the date when I can buy the paperback version of ‘Chosen Child’. By the way, I love the trailer. It’s excellent. I hope you’re celebrating with a bottle or two of champagne! Thanks, Cinthia – hope you like it!